Mondo posters are some of the most sought after pieces of artwork in collectors circles today, and there are a few reasons for that. One, they use very talented artists who are involved in major media markets such as comics and film. Second, there is a limited quantity available for the posters that make them even more valuable. The method for finding out when the posters go on sale and how to purchase can be quite frustrating for some fans, but it all makes for an exciting attempt at purchasing! 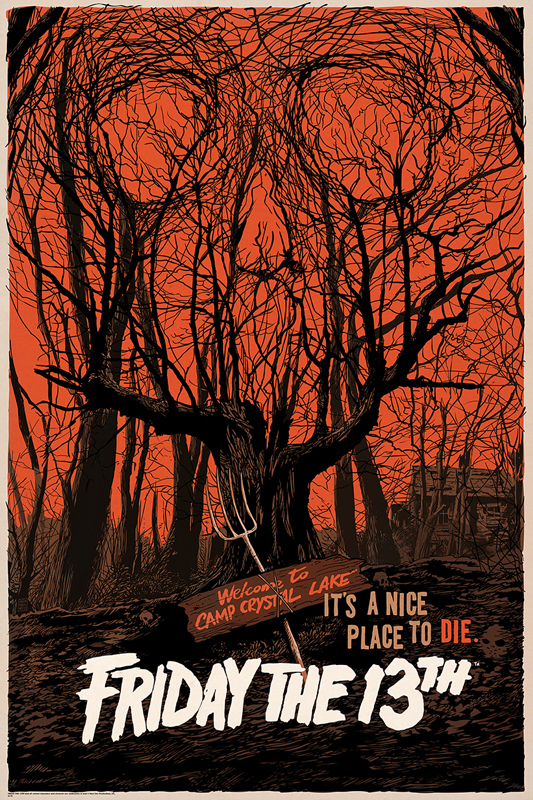 Tomorrow, Mondo will put up for sale a brand new 24" x 36" screen print Friday The 13th poster created by Francesco Francavilla. Please follow Mondo on Twitter tomorrow for the on sale announcement. The poster will be available online at a random time on Thursday, February 14th. Good luck to those who are vying for a chance at buying this poster and let us know if you get one. Check out the poster below, which will sell for $45.